Mesut Ozil, Aaron Ramsey and Sokratis Papastathopoulos will miss Arsenal's Europa League game against BATE on Thursday, Unai Emery has confirmed. 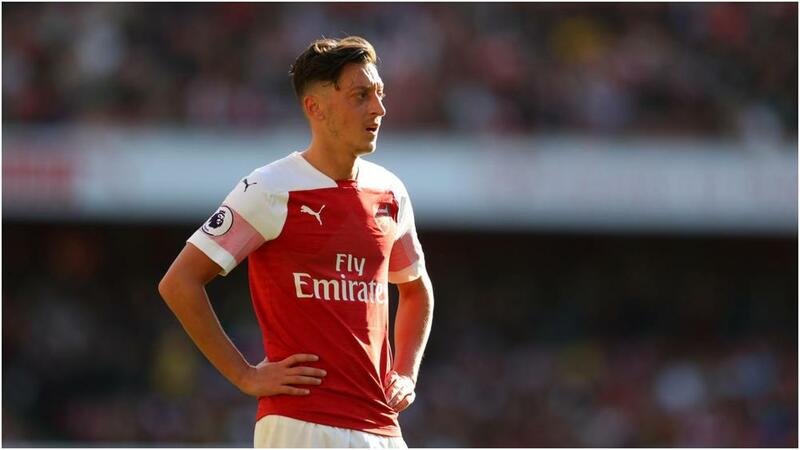 Ozil has struggled for regular game time recently and has managed only one start in 2019, in the 2-1 Premier League win over Cardiff City at Emirates Stadium last month. The playmaker missed the win at Huddersfield Town last Saturday after reportedly complaining of illness, and Emery is unwilling to risk him in the last-32 first leg this week, despite him having returned to full training. Ramsey, whose move to Juventus at the end of the season was confirmed on Monday, is also out after failing to overcome a knee problem, while Sokratis will not be risked. However, Emery hopes to have Pierre-Emerick Aubameyang available. "We are here with the players who I think are okay to play," the Gunners head coach told a news conference. "The players not in the squad are because Ramsey has not trained with us, Sokratis has started to train but not enough, Mesut is the same. "Aubameyang started Monday and I think he is okay for the match." Denis Suarez is in line to feature after being included in the squad for the knockout phase, but Emery suggested the Barcelona loanee may be put on the bench while he continues to acclimatise. "I think his adaptation is good, but he needs time," said Emery. "He is okay to start, but he can also be on the bench. "He needs to earn, little by little, to get minutes." Emery anticipates a difficult game against BATE, who finished second behind Chelsea in their group, even though Arsenal beat them 4-2 and 6-0 in their meetings last season. "Last year, Arsenal won here 4-2. This year, when they played in the groups, against Chelsea, they lost 1-0 but had chances to score and draw," he said. "They are not in competition in the league, but they prepared in pre-season. It's a very organised team. Their motivation I think is going to be very high."